← ANOTHER INJUSTICE TO PIT BULLS! BE SURE TO WATCH FOR JC’S NEW BOOK, ‘BAD RAP’ TO BE RELEASED JULY 1ST! W AR DOG HERO ! 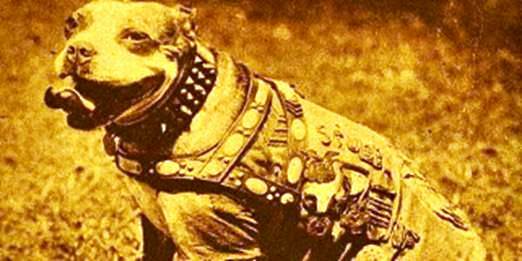 Meet America ‘s first war dog, a stray Pit Bull/Terrier mix, named Stubby. He became Sgt. 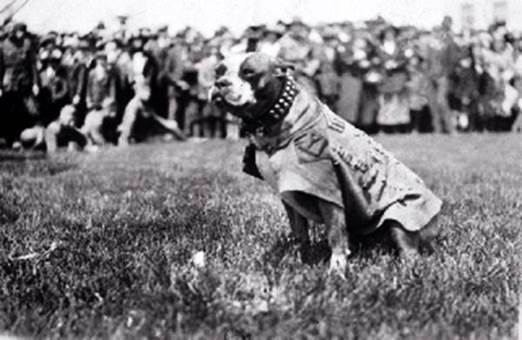 Stubby, was the most decorated war dog of World War I and the only dog to be promoted to sergeant through combat. 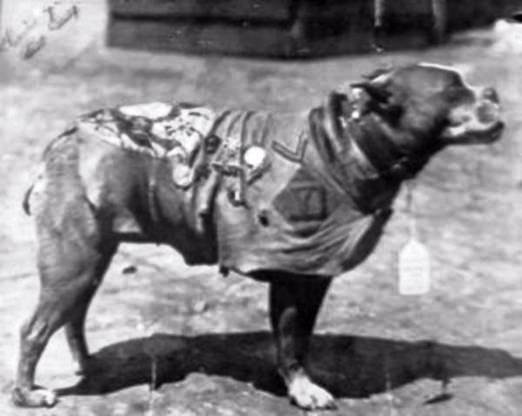 Stubby served with the 102nd Infantry, 26th (Yankee) Division in the trenches in France for 18 months and participated in four offensives and some18 battles. The loud noise of the bombs and gun fire did not bother him. He was never content to just stay in the trenches but eagerly went out, searched and found wounded soldiers. After being gassed and nearly dying himself, Stubby learned to warn his unit of poison gas attacks, continued to locate wounded soldiers in no man’s land, and since he could hear the whine of incoming artillery shells before humans could, he became very adept at letting his unit know when to duck for cover. 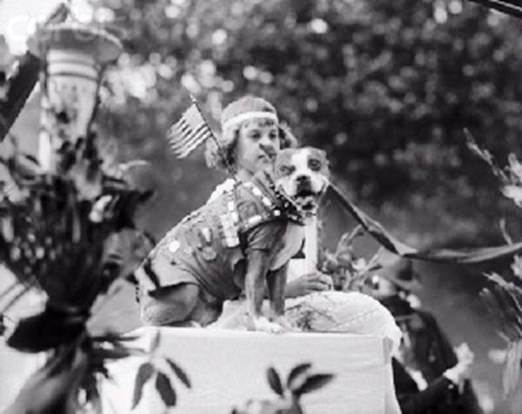 After returning home, Stubby became a celebrity and marched in and normally led, many parades across the country. He met Presidents Woodrow Wilson, Calvin Coolidge, and Warren G. Harding. Starting in 1921, he attended Georgetown University Law Center with Conroy, and became the Georgetown Hoyas’ team mascot. He would be given the football at halftime and would nudge the ball around the field to the amusement of the fans. 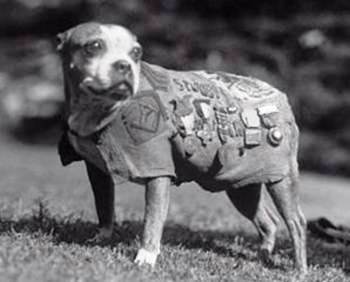 Stubby was made a life member of the American Legion, the Red Cross and the YMCA. 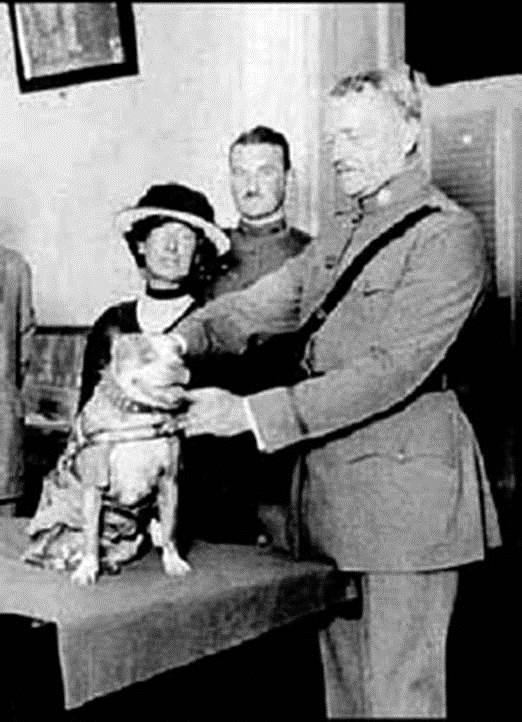 In 1921, the Humane Education Society awarded him a special gold metal for his service to his country. 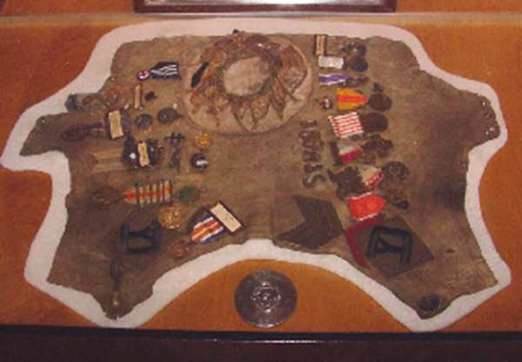 The medal was presented by General John Pershing. In 1926, Stubby died in Conroy’s arms. His remains are featured in “The Price of Freedom: Americans at War” exhibit at the Smithsonian in Washington DC. 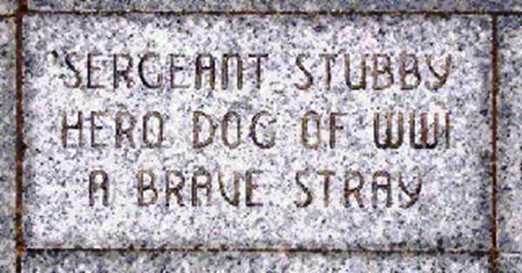 Stubby was honored with a brick in the Walk of Honor at the United States World War I monument, Liberty Memorial, in Kansas City at a ceremony held on Armistice Day, November 11, 2006. Indeed, from the annals of history comes absolute documented proof, that just like all dog breeds, yes, even Pit Bulls, become whatever we, their masters and/or mistresses, make them! Warm the hearts of All Your Friends With This Story, but especially those you may know who continue to assign Pit Bulls a bad rap. Aside | This entry was posted in Am-Staff, dogs, Hero, Pit Bull, Pit Bulls, War Hero and tagged Hero, Pit Bull. Am Staff, War Hero. Bookmark the permalink.